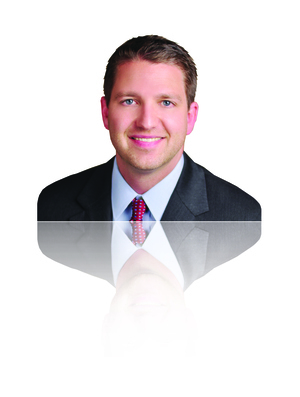 Provider of the Week: Garrison Smith, M.D. "Dr. Smith, who is board certified in general surgery, earned his medical degree at the University of Tennessee Health Science Center (UTHSC) where he served as Class President throughout his four years of medical school. During this time, he also earned a Certificate in Health Systems and Leadership. His internship and residency were completed at the UTHSC Surgery program in Memphis, TN where he served as a chief surgery resident. His training included the full scope of general surgery, with special interests in minimally invasive and endocrine surgery. He also had extensive trauma training at the Presley Memorial Trauma Center, including six months as the chief resident on the service. A native of Jackson, Tennessee, Dr. Smith and his wife, Tonya, have two daughters, Brianna and Lily. He is also the son of Dr. Clyde E. Smith, who is a Hematologist/Oncologist and Palliative Care physician for Jackson-Madison County General Hospital. His interests include aviation, running, boating, outdoor activities, and spending time with his family." Newer PostProvider of the Week: ELIZABETH MOSELEY, RVT RDMS RT! Older PostProvider of the Week: DANIEL DAY, M.D. !